United Brothers Transport continues to invest in a wide variety of premium equipment with an emphasis on temperature controlled units. Before committing to a new customer, we will speak in great detail to understand exactly what you require. Further to that, we will perform test runs to ensure we’re running optimal routes and that our vehicles are able to safely maneuver through any tight passages at all required pickup and drop-off locations. Height restrictions, turning radius, trailer length and much more will be tailored to your needs. We understand the importance of real-time visibility, reporting and notifications. Equally as important is maximizing fuel efficiencies and minimizing equipment downtime. 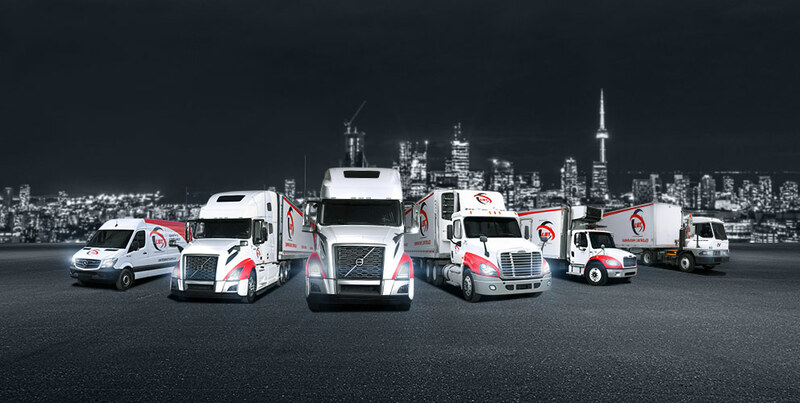 United Brothers Transport will continue to invest in new technologies and will always remain committed to strict maintenance and training programs. © Copyright 2019 United Brothers Transport Ltd. All rights reserved.